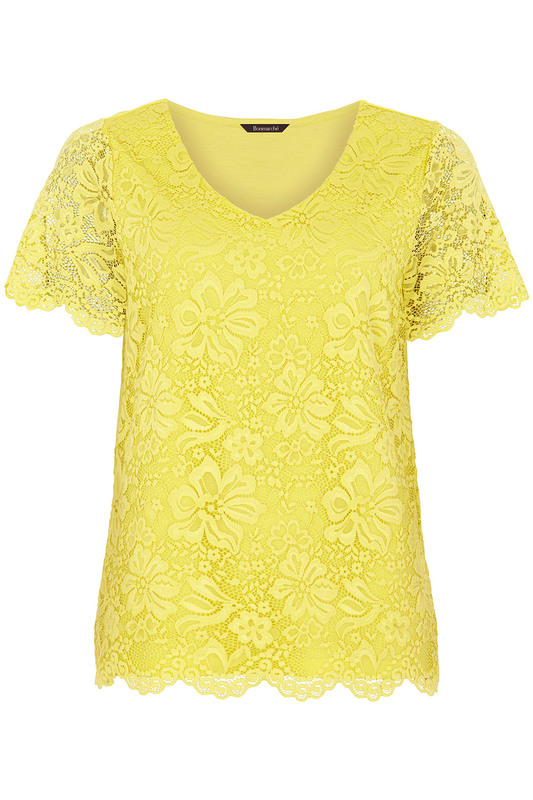 This lace and jersey top combines glamour and comfort, perfect for dressing up your favourite jeans. 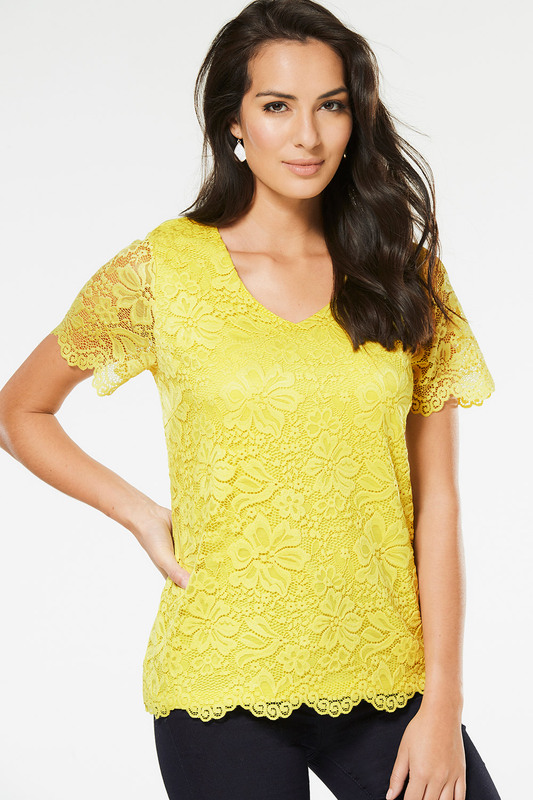 The front is overlaid with soft stretch lace in a floral pattern, with pretty scalloping on the hem and short sleeves. 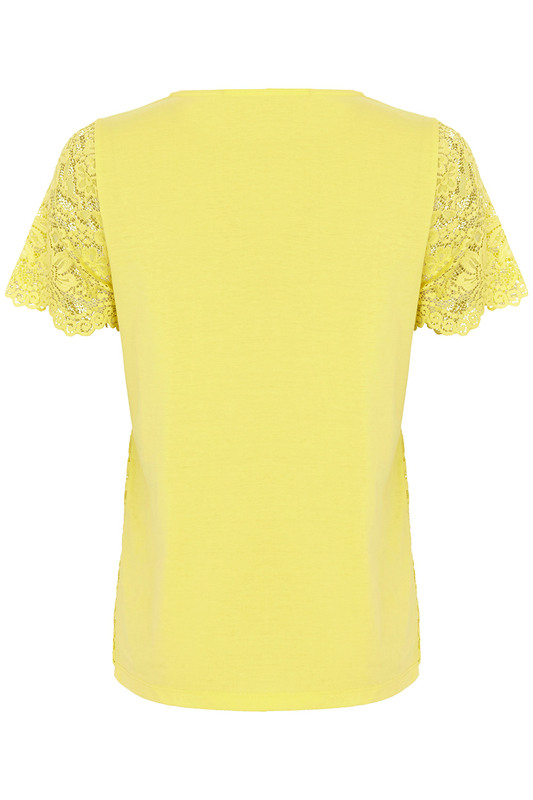 The plain jersey on the back, overhead pull-on style and V neckline make it an effortless addition to your smart daytime or evening wardrobe.